From reducing mechanical movement of the product to mitigating fire risk to handling emissions, coffee producers face unique processing challenges. 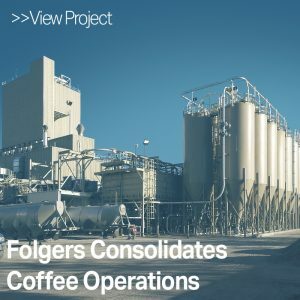 Our work with top coffee producers such as Starbucks and Folgers has given us the expertise and background necessary to assist in all aspects of your operation. Copyright © 2019 Dennis Group.